Greenville's best shower restoration company! At Greenville Tile Cleaning, shower restorations come naturally. Anyone who has a shower with tile & grout knows that sometimes the grout can get, well, difficult. Mildew builds up even when you think you have great ventilation. You may effectively kill it with loads of harsh cleaner and scrubbing, only to find cracked or missing grout after some time. What's more, soap scum builds up on your tile, especially if it isn't wiped down after each shower. And don't get me started on mildewed and/or shrunken caulking! Sometimes, we just want to throw in the towel and start over with a new shower! I mean, the old one has lost it's allure. It's seen better days. There's nothing that you can do except for a complete tear out and rebuild, right? Wrong! 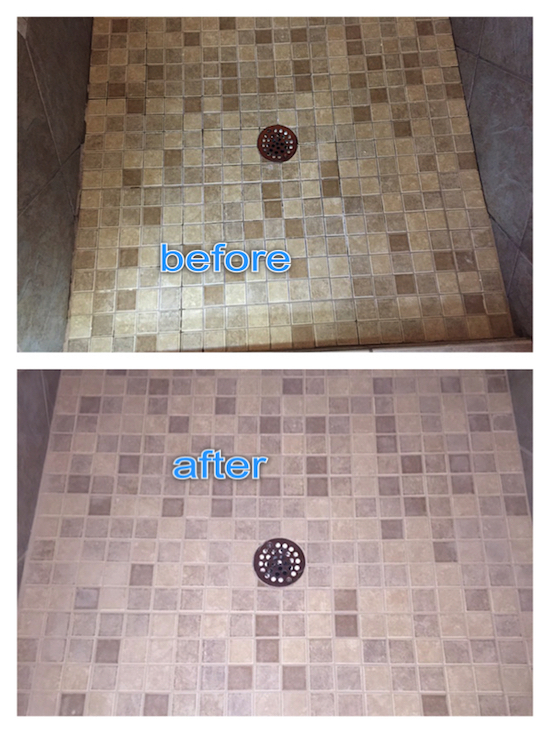 Enter Greenville Tile Cleaning's shower restoration program. We will, ahem, make your shower great again! You won't believe it's the same shower you wanted to replace completely. Our process begins with the inspection, of course. We will meet with you to discuss the project and your options. Once we decide on options (such as clear seal or color seal) and scheduling, we will take care of the rest. Shower restoration is usually a two day process. 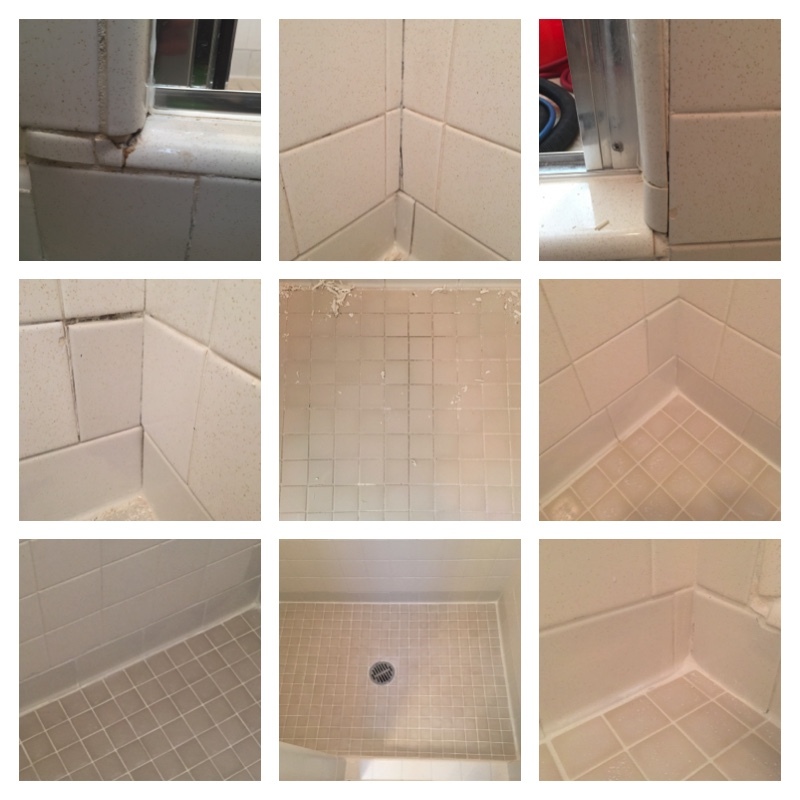 On the first day, we strip existing caulk and loose/cracked grout. The emulsification and extraction cleaning follows. If we are going to color seal the grout, we will follow the cleaning with a dilute acid wash to open up the grout pores in order to accept this kind of sealer. After reclaiming the acid wash, we then add grout where it's needed. On the second day, we seal with either clear seal or color seal. Sometimes clients want the walls clear sealed and the floor color sealed; it just depends on the condition of the shower and what options the clients want. After the sealing process, we finish up by re-caulking. Once we are finished, we usually recommend allowing about 48 hours to pass before using the shower, so everything can cure. That's it!